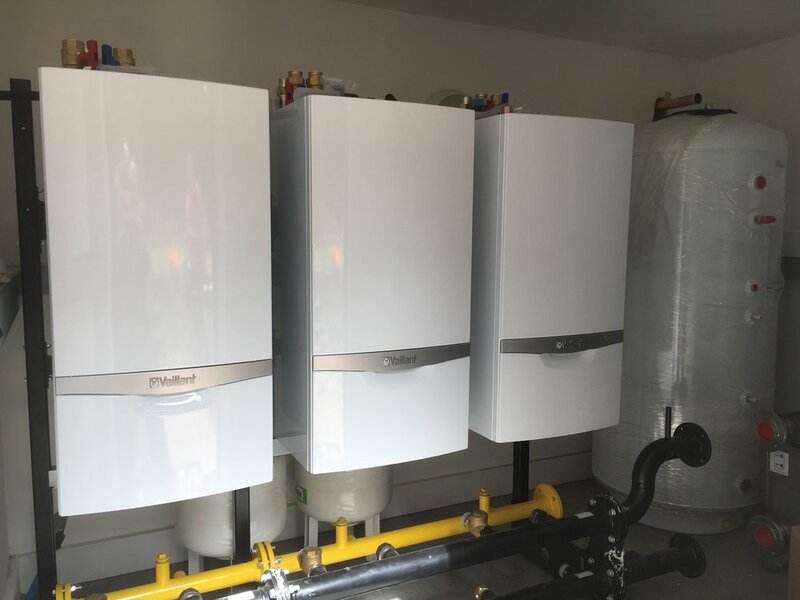 We also chose these boilers as they provided easy access to all components from the front, along with a single electronic circuit board and flue gas analysis point, which meant that future repairs and servicing costs would be kept to a minimum for the client. We had to work within the existing infrastructure for the old plant room. During the course of the work we located leaks to several valves on the existing pipework, which had to be rectified alongside the conversion programme. Furthermore, pressure tests identified flaws with the existing pipework design and therefore we had to work with the client to redesign the system whilst keeping the project on time and on budget.